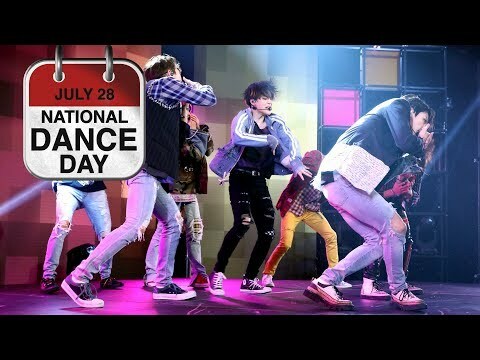 (WATCH VIDEO) Celebrate National Dance Day with some of the best dancing moments from The Ellen Show, including moves by Ellen, Michelle Obama, BTS, Jessica Biel, tWitch, Chris Evans, and many more! Dance Your Way into National Dance Day! National Dance Day is July 28th! This year’s National Dance Day routine was created by Emmy-Award-winning choreographer Mandy Moore to Kylie Minogue’s song, Dancing. The video features Dancing with the Stars troupe members Britt Stewart, Morgan Larson and Hayley Erbert along with Season 13 So You Think You Can Dance winner, Kida Burns and Season 11 contestant Nick Garcia, as well as The Rollettes founder Chelsie Hill.